At Cuyamungue Institute we have been busy preparing and expanding the facilities for our upcoming Solstice Celebration and Centennial Conference. This actually began last year, with completion of the Hall of the Thunderbirds. Inspired by the traditional Navajo hogan, this new building serves as a lecture hall and gathering place for dance, celebration, rituals, and other events. We now look forward to completion of a Labyrinth. Julie Nichol, a ritual posture instructor in England, volunteered to arrive at CI a week before the Centennial help design and build a traditional labyrinth and the Board of Directors was delighted at the proposal. During last year’s board meeting, we walked the land to select a site for the labyrinth. We all agreed that it should be adjacent to the Dance Court, to be utilized also for the annual Masked Trance Dance. A long-standing tradition at the Institute, the design of the masks, costumes, and dance steps are drawn from our group visionary experiences, weaving a mythic dance in celebration of the Web of Life. How fitting, then, to expand the area of the Dance court and compliment it with the powerful presence of our labyrinth. Anyone familiar with the landscape here at CI will tell you that a flat area of land is hard to find. The area we selected for the Labyrinth had a significant slope, with large channels of erosion. I reached out to a few locals, Lynn Brewer, Leo Fields, and Jason Lopez, to help prep the site. 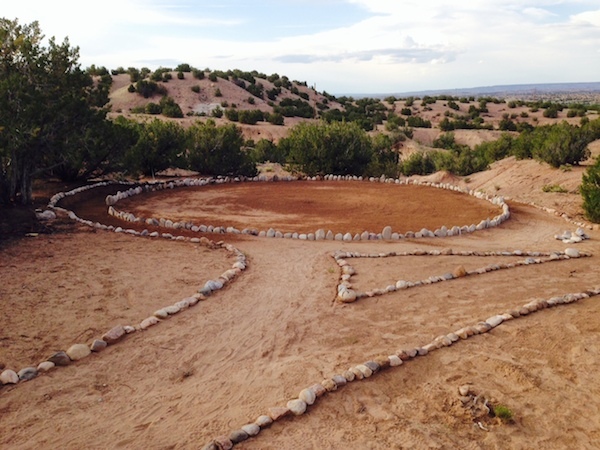 Knowing that the success of the Labyrinth depends upon a strong and proper foundation, we moved and carved the soil to create a new “plaza like” space, finally watering it to harden the earth into an adobe-type surface. The photo above shows the site in progress after about a month of work, with installation of the first outer rings of rock. At 36 feet in diameter, with another four-foot path encircling it, we have the beginning of yet another strong presence on the land. While my team was at it, I was also inspired to line all pathways with rocks and expand and clean up the Dance Court. I found the blue egg, an feature from a Masked Trance Dance many years ago, that had blown down an arroyo, so I repaired it and reset it into its long-standing place, raked the pathways and lined them with rocks, and set a new pole in place. My wife Laura points out that this new pole is the perfect compliment to the egg, and with this, we have potent symbols of birth, male and female, adjacent to the memorial of Felicitas beyond. Our goal is to have everything finished in place for the Centennial Conference. 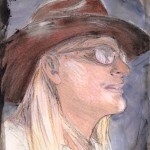 In the next newsletter, I will share an update on the completed labyrinth and peoples experiences. I look forward to sharing the stories, and activities of the Centennial Conference in our next newsletter issue. These are very exciting times and there is no better way to honor our founder, Dr. Goodman, then having this large community gather of the Cuyamungue Institute. Please take moment to visit our newest articles and submissions listed below. We are happy to share the following news and articles. 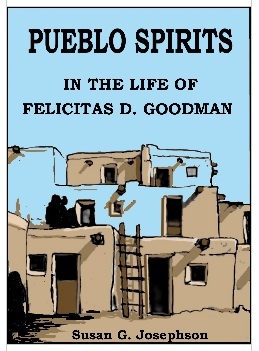 PUEBLO SPIRITS is a true story (in graphic novel form) about Felicitas D. Goodman’s spirit encounters and exploration of Native American religion in the Southwest. 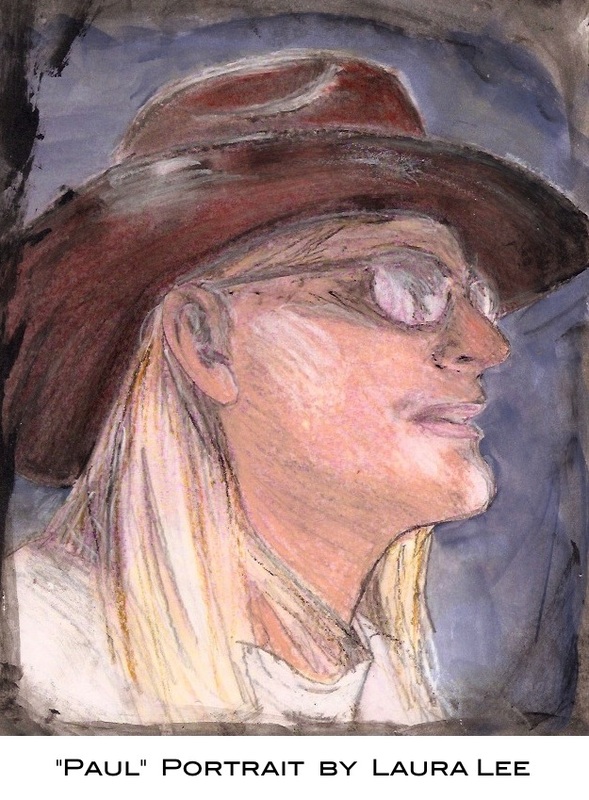 This book tells the story of Dr. Goodman’s quest for contact with ancient Pueblo Indian spirits in New Mexico and how that quest nearly cost her life. 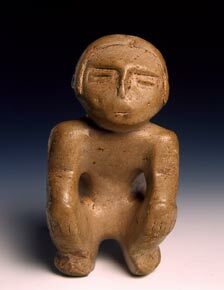 It chronicles her exploration of Cuyamungue and her discovery of her own true spirit name. The author, Susan Josephson, is Dr. Goodman’s daughter and this version was authorized by Dr. Goodman before her death. A labyrinth is an ancient symbol that relates to wholeness. It combines the imagery of the circle and the spiral into a meandering but purposeful path. The Labyrinth represents a journey to our own center and back again out into the world. Labyrinths have long been used for meditation and prayer, a tool for an inward journey and self-reflection. Explore, experience, and expand consciousness through the Cuyamungue Method. This is the revival of an ancient practice of consciousness expanding, spirit journey experiences using sacred postures, derived from ancient artwork the world over. This expanded state of consciousness is achieved through a relatively simple, safe, and teachable method with over thirty years of verified safe use; the evidence points to over thirty-thousand years of use. Enjoy the Benefits. This powerful technique is actually an in-built capacity of our physiology, which naturally and easily responds to a simple alternate-state induction. As tested in the lab, the physiological shift that supports this visionary experience includes a decrease in stress hormones, an increase in the well-being endorphins as well as a dramatic increase in the DC voltage of brain activity. It’s the simultaneous theta brain waves whilst still in beta that gives rise to this conscious “waking dream” visionary experience. Each posture has its own range of experiences. This workshop will cover healing, divination, spirit journeying, and more. In small group sessions, we will learn and practice the Cuyamungue Method, journal our experiences, then share with the group. Be a Volunteer. Ask about existing, on-going projects you can help with. Or suggest projects that you can work on, fund, or both! Attend workshops at the Institute. Bless yourself and CI. Workshop fees directly support maintenance of the land and buildings. Personal Donations. 100% of your donations and gifts go directly to the Institute, and are tax deductible. Corporate Donations. Your company can have a tremendous impact. Ask us how we can bring our work to your visionaries and leaders! Also consider making a donation by clicking here. Ongoing research and new applications of this work is only possible with donations made by people like you. Laura Lee, our Director of Outreach and Development, is available to answer your questions. Contact her at [email protected] Thanks for reading! Please forward this to your friends and acquaintances who will enjoy learning more about us, and please let me hear from you! I am most happy answer any and all questions about the Institute or the Cuyamungue Method. We welcome all correspondence. Email me directly at [email protected] .